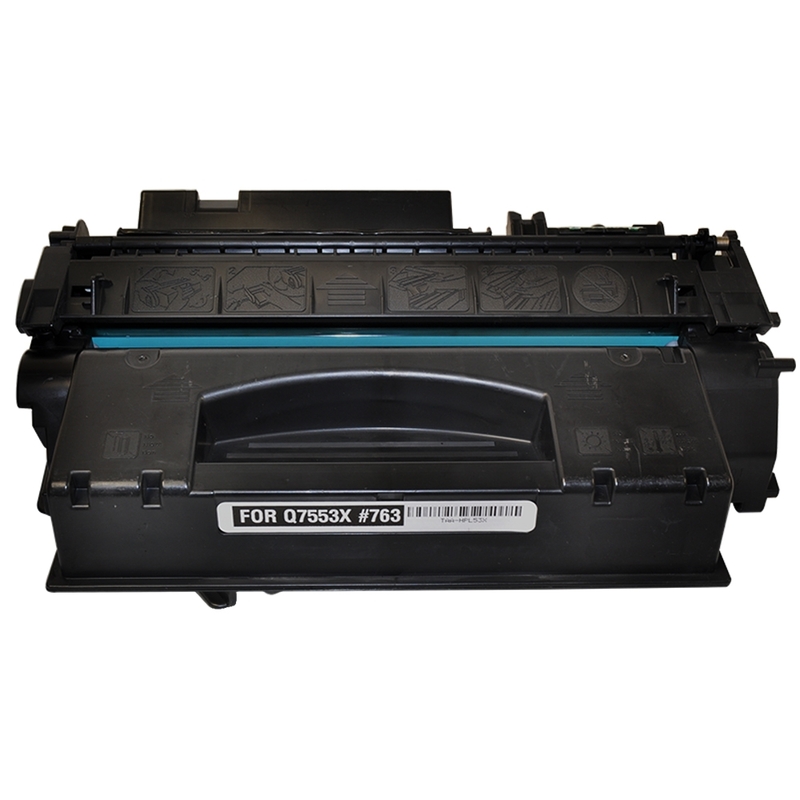 User Guide to HP 53A / 53X Toner | TonerGreen - Eco-Friendly Toners from the U.S. The HP 53A is a consumable for use with Laserjet P2000 series of HP's monochrome workgroup laser printers. 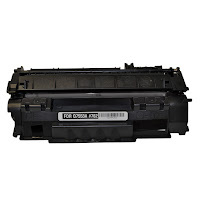 This particular toner cartridge is widely available in the market for replacement to the starter toner cartridge that came with your HP Laserjet printer. 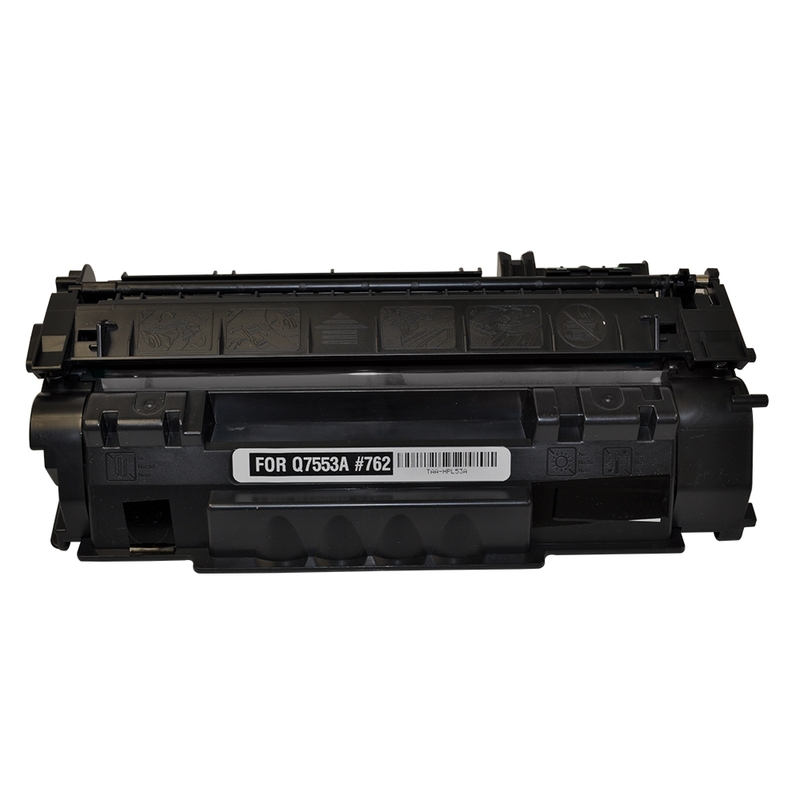 Also known as Q7553A, the HP 53A is a monochrome toner cartridge that comes in two capacity sizes: standard capacity and high capacity (53X) toner cartridge. The standard capacity cartridge can yield up to 3,000 pages whereas the high capacity doubles the yield of up to 7,000 pages. High yield toner cartridges prints more (compared to standard capacity printer cartridges) which means a lower cost per page, saving you money. at happen to look for installation or troubleshooting guide for this toner cartridge, continue reading below. If your printer displays "Replace cartridge" or "Cartridge Very Low" on the display control panel, It means that the cartridge has reached its end of life. Nevertheless, you can still squeeze at least a hundred pages depends on your print requirements. The cartridge may not need to be replaced unless or until the print quality is no longer acceptable. It is highly recommended to stock up on replacement supplies so avoid hassle and interruptions. Step 1 - Press the front door button to open the printer, and then remove the old toner cartridge. Step 2 - Unpack the new toner cartridge. Bend the tab on the left side of the cartridge to break it loose. Pull the tab until all the tape is removed from the cartridge. 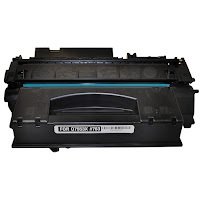 Step 3 - Gently rock the toner cartridge from front to back to distribute the toner evenly inside the cartridge. Caution: If the toner gets on your clothing, wipe it off with a dry cloth and wash the clothing in cold water. Hot water sets toner into the fabric. Step 4 - Insert the new toner cartridge in the printer and close the front door. If you print on a regular basis, you may find that original supplies are very expensive and makes you think if there are alternative ways to reduce your printing costs. If you are looking to save on printing expenses and keep it low as possible, you may consider compatible replacement toner cartridges. This type of cartridge is produced by a third-party manufacturer, not associated with HP. It is usually built according to the listed specifications of original manufacturer to ensure that it will work with compatible printer models. The obvious benefit of using a compatible toner cartridge is the savings as it costs 50-60% lower than the original cartridge. There are lots of aftermarket toner vendors these days; you just have to find a reliable one. They will help you out in finding the right supplies compatible with your device and help you save money over time. TonerGreen is enviromentally-conscious online store for eco-friendly alternative printer supplies. We have a huge line of premium quality replacement inks and toner cartridges for most printer brands like Brother, Canon, Dell, HP, Samsung, Okidata, Xerox, and more. Our customers often find that our cartridges meet or exceed branded supplies. We might not be the cheapest, but we assure you top quality and performance and the best value for your money. Head over to our website and give us a try – you won’t be disappointed!